After years of acquisitions saddled SoftBank Group Corp. with record debt and weighed down its stock, founder Masayoshi Son is getting serious about improving the company’s balance sheet. SoftBank has announced a series of asset sales as part of a broader effort to re-examine its technology portfolio, reduce its massive debt load and gain flexibility for future investments. The company plans to raise $10 billion (about ¥1 trillion) from selling down its stake in China’s Alibaba Group Holding Ltd. and another ¥73 billion ($685 million) from offloading shares in GungHo Online Entertainment Inc. It’s also in discussions to exit Finnish game developer Supercell Oy, according to people familiar with the matter, a deal that could increase the amount raised via asset sales to $14 billion. Son built his corporate empire by borrowing heavily to finance acquisitions, transforming a humble computer software distributor into a global technology giant. While earlier bets like Alibaba paid off, the recent purchase of money-losing Sprint Corp. backfired. Son saw the value of his company shrink over the past two years as the carrier’s losses mounted, and SoftBank’s debt pile grew to a record ¥11.9 trillion. SoftBank last week said it is selling shares in Alibaba, the Chinese e-commerce company that pulled off the world’s largest initial public offering in 2014, for the first time since buying in about 16 years ago. Days later, it announced plans to sell most of the shares it owns in GungHo, the Tokyo-based game developer. SoftBank’s majority holding in Supercell could fetch $3.7 billion, people familiar with the discussions have said. All of this will help SoftBank strengthen its balance sheet. The firm’s total debt has soared 5.6 times in the past four years following its acquisition of Sprint, which has suffered seven straight years of losses and has $10 billion of liabilities coming due in the next three years. Moody’s Investors Service and Standard & Poor’s both rate SoftBank’s debt at one level below investment grade. Moody’s said its rating won’t be affected by the Alibaba share sale and that the company will need to cut its debt further to be considered for an upgrade. 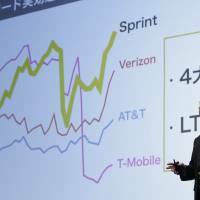 Sprint’s woes have weighed on the parent company’s valuation. SoftBank has a market value of about $68 billion as of Friday, while its public shareholdings were worth $87 billion in total, according to data compiled by Bloomberg. 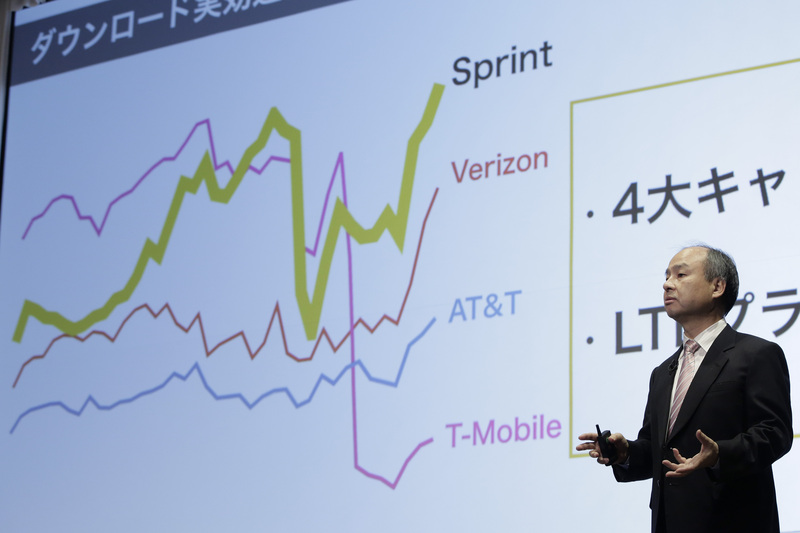 In addition to stakes in Alibaba, Sprint and Yahoo Japan Corp., SoftBank also owns a Japanese phone business that generated more than ¥688 billion in profit in the year ended March. That’s after a 15 percent slump last year that followed a 22 percent plunge in 2014, as it became increasingly clear to investors that Sprint’s recovery was a long way off. Longer term, SoftBank is seeking out potentially lucrative investments and may consider further asset sales. Son has split SoftBank into domestic and overseas units, entrusting President Nikesh Arora with operations abroad and the search for the next Alibaba. The former Google executive is spearheading a re-examination of the technology company’s portfolio, according to a person familiar with the matter. Arora plans to invest about $3 billion annually and has led SoftBank’s investments in Indian online bazaar Snapdeal, ride-hailing service Ola, real estate website Housing.com and hotel-booking app Oyo Rooms. In October, SoftBank led a $1 billion fundraising round for U.S.-based online lender Social Finance Inc. Still, SoftBank’s move to sell assets and reduce debt has some bondholders wary that Son will use the cash for another outsized acquisition. While SoftBank’s 2020 dollar bonds rallied Friday to a three-year high and its bond risk has more than halved in the past four months, it still has about a 0.4 percent chance of nonpayment in the coming year, based on the Bloomberg Default-Risk Model, which considers factors such as share prices and debt. SoftBank had said the Alibaba transaction will reduce its ratio of net debt to earnings before interest, taxes, depreciation and amortization to 3.3 times, from 3.8 at the end of March. Since making that estimate, the company has increased the amount of the sale by $2.1 billion. That ratio compares with 6.2 times in 2006, right after the company bought the Japanese unit of Vodafone Group Plc. The acquisition saddled SoftBank with ¥1.37 trillion of loans.